Most of us give and receive Christmas cards but after that we usually put them into some drawers and forget about them. 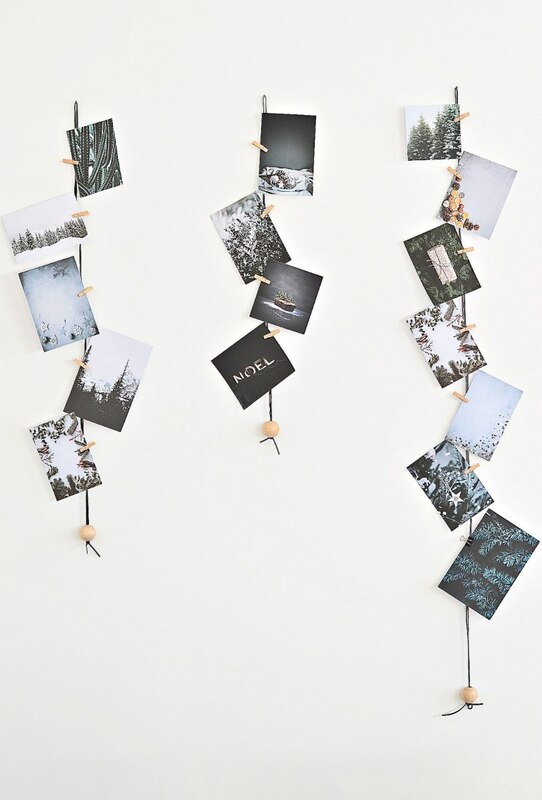 To keep your mood holiday-like for a longer time, you may display your cards in various ways in all the spaces. 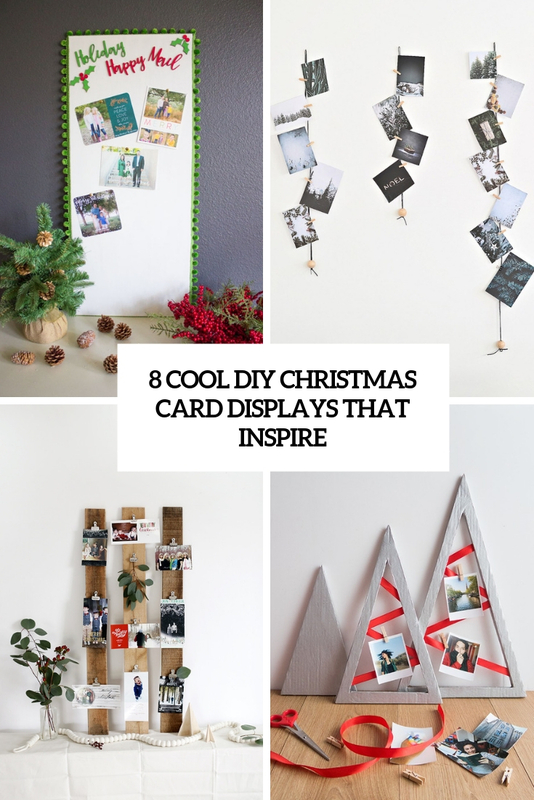 Here are some DIYs to go for to display all your holiday cards, let’s take a look! Getting holiday cards in the mail is one of amazing, and here’s a unique way to show off all the photo cards of family and friends. Sometimes, nothing works better than a traditional cork board and push pins. 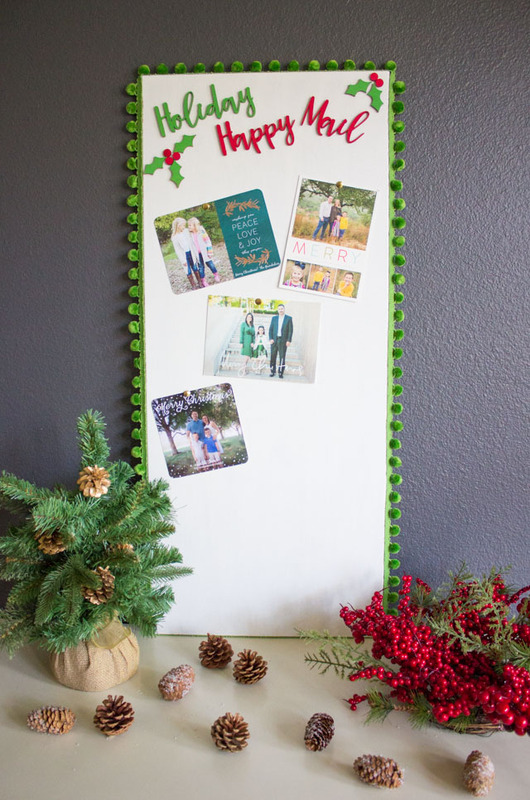 But this isn’t your average cork board thanks to the addition of some pretty script letters that custom make, along with some mini wood holly leaves and berries to make it extra festive. Read the tutorial and go craft one! 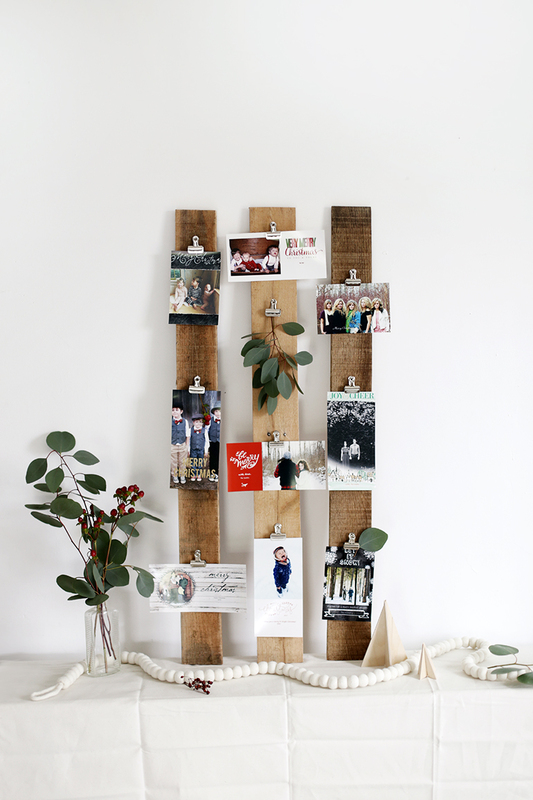 This recycled photo/card display is a great option if you are looking for ideas. It will likely cost you no money if you already have tape and spray paint at home. You can make it as big as you want depending on the size of your cardboard or even with other shapes, perhaps a square for Christmas card display? Though tree-shaped ones are pretty cool, don’t you think? Follow the instructions to make them! 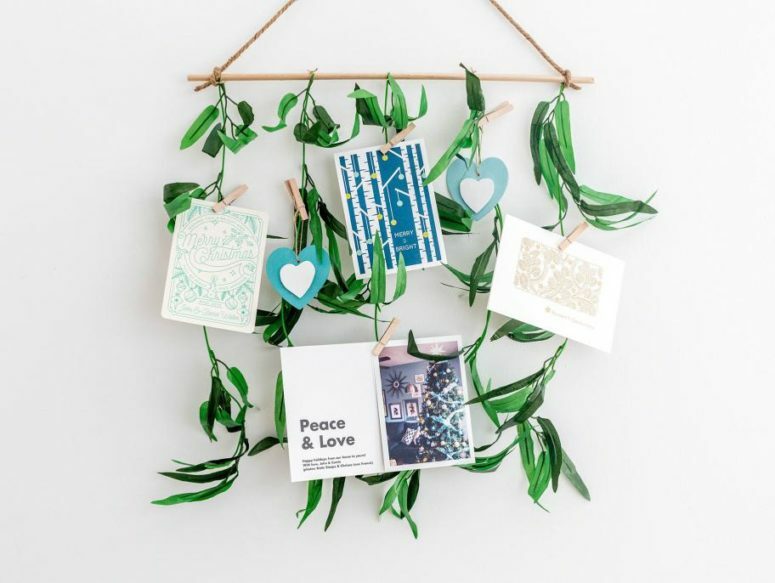 Instead of leaving your cards in a pile on the entryway table, try displaying a few of your favorite holiday cards on this easy-to-make DIY leafy holiday card holder decorated with fresh greenery for a festive look. Read on for the couldn’t-be-easier tutorial and linked craft supply list. This time of year, it’s actually fun to check your mail – because you might find sweet cards and pictures of family and friends, and not just bills and junk mail! As the Christmas cards keep arriving, the question becomes, what to do with them? This display is simple and doesn’t take too much time to put together. You can also use thumbtacks to hold the clips, and then you can easily rearrange the clips to fit the different cards/photos you’re displaying. 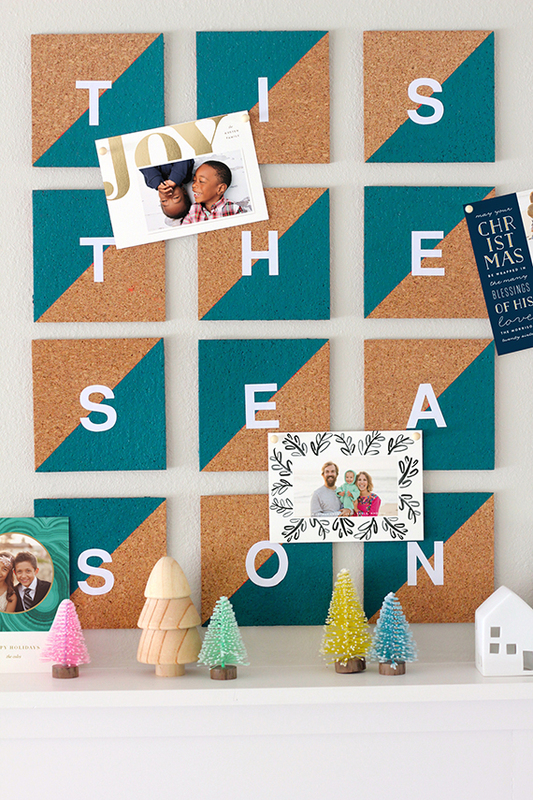 The annual flurry of Christmas cards and holiday cards is getting underway, and if you’re looking for a clean and modern way to display the season’s greetings, check out this easy DIY project using painted cork tiles. The display looks pretty modern, you may choose various colors and patterns customizing these tiles as you want. This amazing Christmas card display catches an eye with its unique shape and bold colors that aren’t usually seen on displays. Clothespins seemed like a necessary material for this easy DIY project, but you’ll be surprised at some of the other materials! 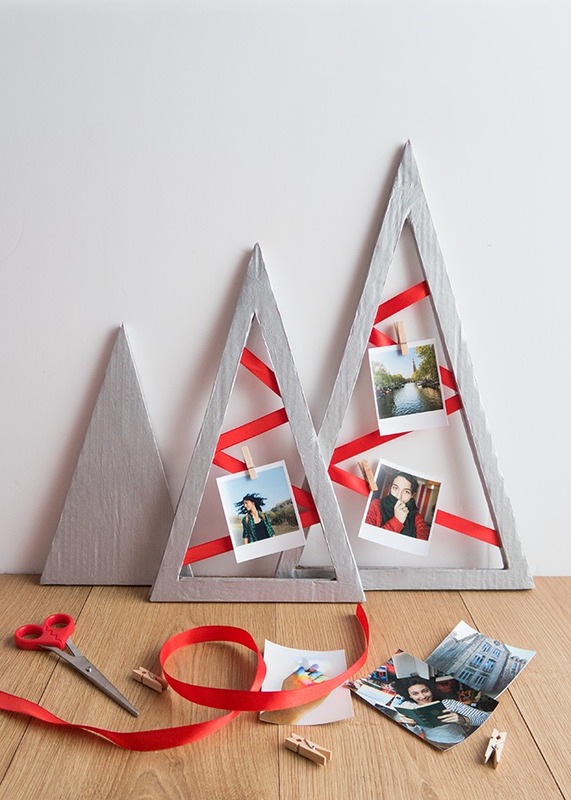 Read the tutorial, find out what you are going to use and go craft your amazing display! Here’s a card holder that won’t take up space on table/mantle tops as it ends up looking so cluttered and the cards keep toppling over as you add more cards. 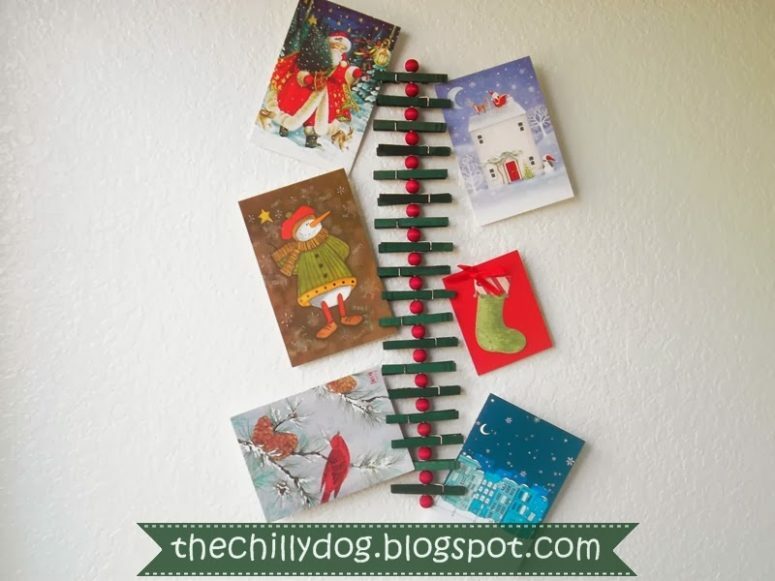 These card holders can be hung anywhere in your home. You can put these on a door, a wall or even hang them on your tree. And they effortlessly add to your festive decor in minutes. 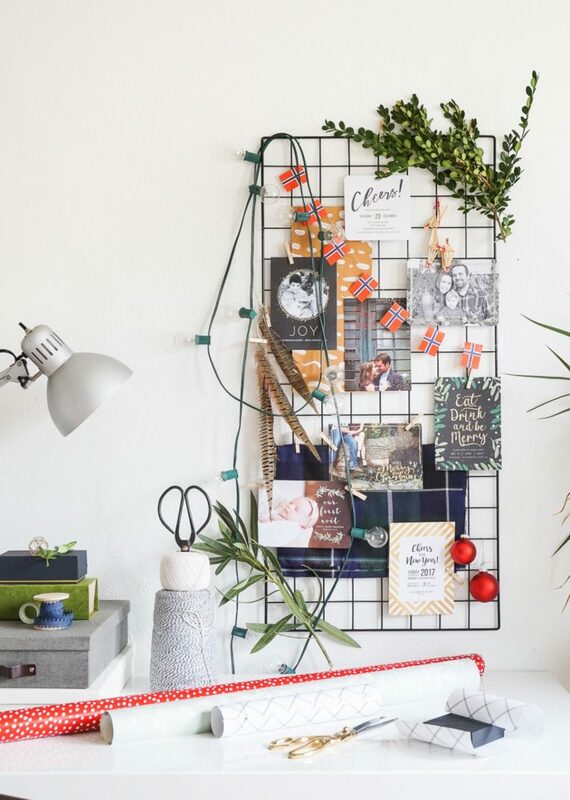 This idea is taken from the inspiration mood board (you know, the kind you hang at your desk and pin collected snippets to) and this is a Holiday edition–a spot for corralling cards from loved ones, patterned paper that’s too pretty to toss, special ornaments, fresh greenery, etc.–all the little things that inspire you throughout the season. Check out a video and make one!